Veramed Limited, a UK-based statistics and programming CRO, has entered into a Functional Service Provider (FSP) alliance with GlaxoSmithKline to provide statistics and programming services across multiple clinical development programs. Work has already begun on the alliance, which is designed to drive productivity, consistency and quality across statistics and study reporting, whilst saving time and money. Veramed has established a dedicated team to deliver the FSP service to GlaxoSmithKline, which allows for proactive project management as well as comprehensive training of company staff involved in the partnership. An executive governance structure has also been implemented to manage the relationship, with plans to leverage key metrics to shape decision-making and ensure continuous improvement. process and technology innovation”, Veramed noted. 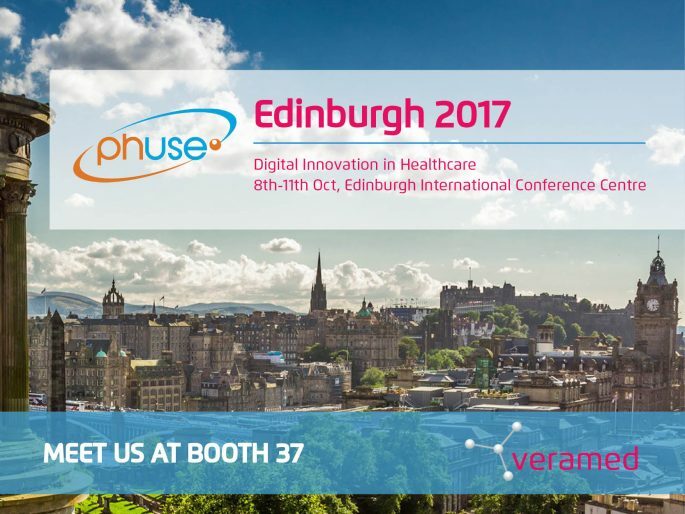 Veramed will be presenting a number of sessions at the Annual PhUSE conference hosted in Edinburgh between October 8th and 11th. Please find below a full list. We will also be exhibiting, please stop by stand #37 to meet the team and to take part in our popular scrabble competition. If you would like to organise a meeting with a team member please click on the link below.